There's a palpable sense of anticipation on the train to Lisburn on this, the second day of the Hilden Beer Festival. On arrival and exchange of ticket you're handed your choice of glass (half or pint) and sent off in the direction of the boozy adult equivalent of Disneyland. Cash is exchanged for tokens, tokens are exchanged for beer (or cider) and everybody's happy. En route to the courtyard there's half a dozen food stands to choose from - which is admirable seeing as Hilden have a restaurant on site, and have resisted the option of getting the gouge on their captive audience. Having said that, the restaurant is open, offering a £40 set menu for the well-heeled casketeer or those just looking the weight off their feet. It's a nice move, but not many of the seasoned drinkers are biting. The food stalls are a bit on the pricey side, but it's more than worth it as they've taken some care to avoid the dodgy 3am stodge merchants. With pies, wraps, gourmet burgers and pizza on offer, there's plenty to choose from. However, the pie stall had already run out of the veggie option from the day before, and later diners may have been caught short by overstretched logistics. Mind you, for the hardened drinker eating is cheating - with nearly 30 beers and ales and over a dozen ciders on offer, stomach space is at a premium. There's no way you can do them all in one day (though according to your correspondent's barely legible 'score card' you can chalk up a respectable 11 over a ten hour period) but the staff are there to help guide you at the start of the day. Half the beer is brewed nearby, including local favourites Fulcrum, Headless Dog and Cascadian. 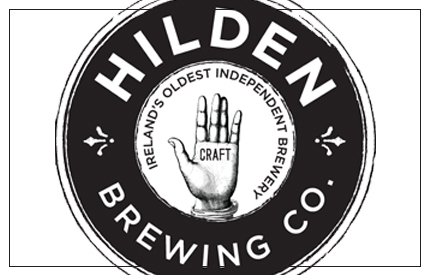 There's bonus points to be had as Hilden invite their competitors from down the road at Whitewater to provide the Copperhead and Belfast Black. A rising tide lifts all boats and the local craft beer scene can hold it's head high. From further a field you could try the Thaiphoon, (like a stir-fry, packed with coriander and lemongrass) or the Darkstar Espresso stout, which smells like your local cafe at high tide. Pints cost a reasonable four pound, a half (and a bit more) £2. The wasps buzz around the cider stall like a Battle of Britain recreation - and rightly so. Lisburn's own Tempted? Cider and Mac's of Armagh are putting the hours in dragging people's palates away from the twin evils of Kopparberg and Magners. Both crew are there throughout the day, dispensing advice and samples. This, combined with the delicious, but deadly Tempted XL (mixed with rum for that 7% vanilla kick) means the queue for cider occasionally reached Dunkirk proportions. With a full set of entertainment on offer and some beautiful grounds to wander around at will, the folks down at Hilden have pushed the boat out and with a definite lack of aggravation the day's a roaring success. Which matched the roaring hangover on Sunday. Glasgowbury Tickets On Sale NOW!